Scoop it! Mix it! Dump it! Just another earth-moving, earth-saving day at the job site for the Green Toys™ Construction Trucks! Made in the USA from 100% recycled plastic with no BPA, phthalates or PVC, the fleet includes 1 Scooper with a moveable front-loader, 1 Mixer with a revolving drum, 1 Dumper with a classic open-box bed, and 3 Construction Dogs! 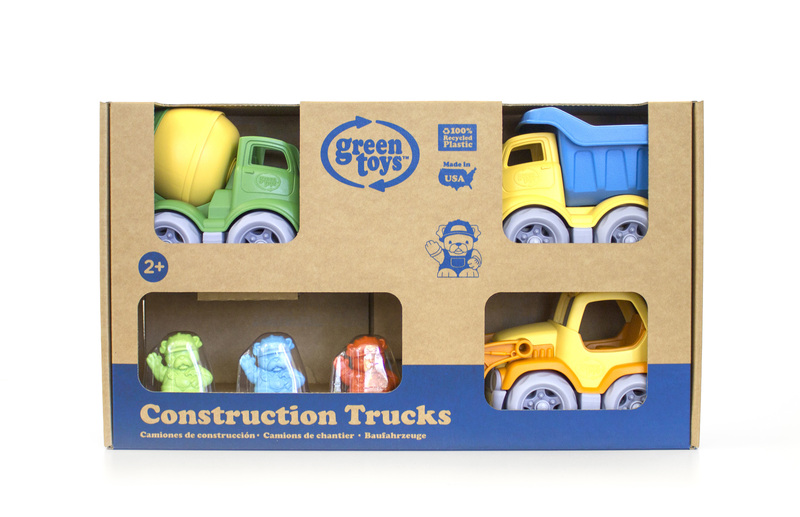 Perfect in a sand box, toy box, or gift box, these pint-sized trucks are just right for little hands, and can easily be tossed in a diaper bag for on-the-go fun. 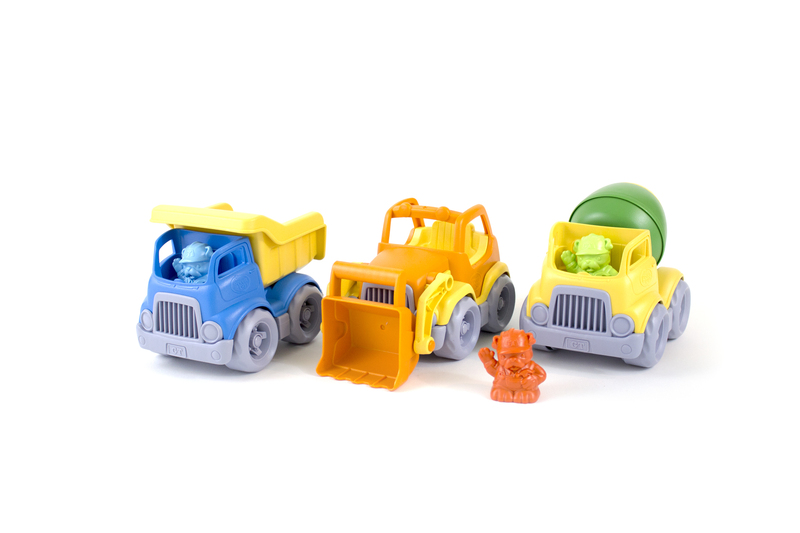 Each vehicle comes with its own Construction Dog, and the figures are interchangeable among all three. Built to last with no metal axles, these vehicles are made safe for children and the earth they play on.